While Mississippi Kites and Peregrine Falcons are similar in body length and wingspan, the Peregrine Falcon can weigh up to three times more. Lightweight bodies help give kites a buoyant, graceful flight. 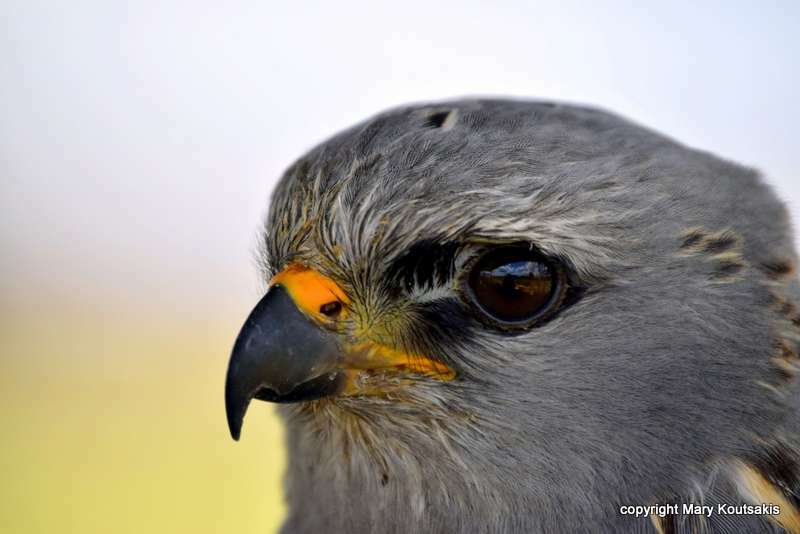 The Mississippi Kite has a high-pitched, two-note call that sounds almost like a whistle. 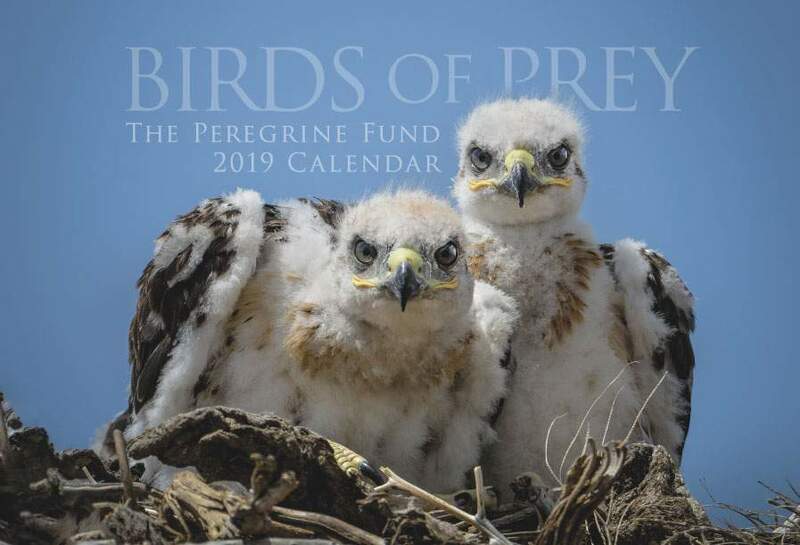 Though The Peregrine Fund doesn't work directly with Mississippi Kites, our efforts in scientific research, habitat conservation, education, and community development help conserve raptors on a global scale. We also supply literature to researchers from our avian research library, which helps scientists around the world gather and share important information on raptor conservation. The Mississippi Kite, like migratory species everywhere, has a winter and summer home. Found in the Americas, this lovely kite spends its summers in the southern and eastern United States and breeds in such states as Kansas, Illinois, Arizona, and even recently as far north as New Hampshire and Connecticut. In winter, it makes the long journey south, migrating through Central America and South America all the way to Brazil, Paraguay, and Argentina. The Mississippi kite lives mainly at lower elevations and can be found in a variety of habitats, including riparian forest, open woodland, and prairies. Within its breeding range, it has even been seen in wooded suburban neighborhoods. Mississippi Kites would definitely make very nice neighbors! Though not as colorful as an Ornate Hawk-eagle, the Mississippi Kite is nevertheless a lovely little raptor. Both the male and female are very similar in appearance and have overall gray bodies with dark gray tails and outer wings and lighter gray heads and necks. Young birds are distinguished by the bands on their tails and heavily streaked bodies. All Mississippi Kites have pointed wings and are considered to be quite graceful in flight. The Mississippi Kite is a long-distance migrant, meaning it travels very far to get from its wintering grounds to its breeding grounds, and back. Though it might sound luxurious to have a winter and summer home, life for migratory species is difficult indeed. Apart from the typical threats to raptors everywhere – habitat loss, hunting, poisoning, collisions with vehicles, and electrocution on power lines – migratory birds must brave hurricanes, blizzards, and other extreme weather, exhaustion, starvation and disease, which can spread quickly when large groups of birds concentrate in one area. During migration, Mississippi Kites often travel among mixed flocks of other migrant raptor species, including Plumbeous Kites, Swainson's and Broad-winged hawks, and Turkey Vultures. Recently, biologists counted an enormous flock, estimated at 10,000 individuals, on northward-bound migration at Fuerte Esperanza, Argentina. In the mid-1900s, Mississippi Kite populations fell into decline. More recently, however, the species appears to be making a comeback. Though still rare in some areas, this species has steadily expanded its breeding range over the past century into new regions. 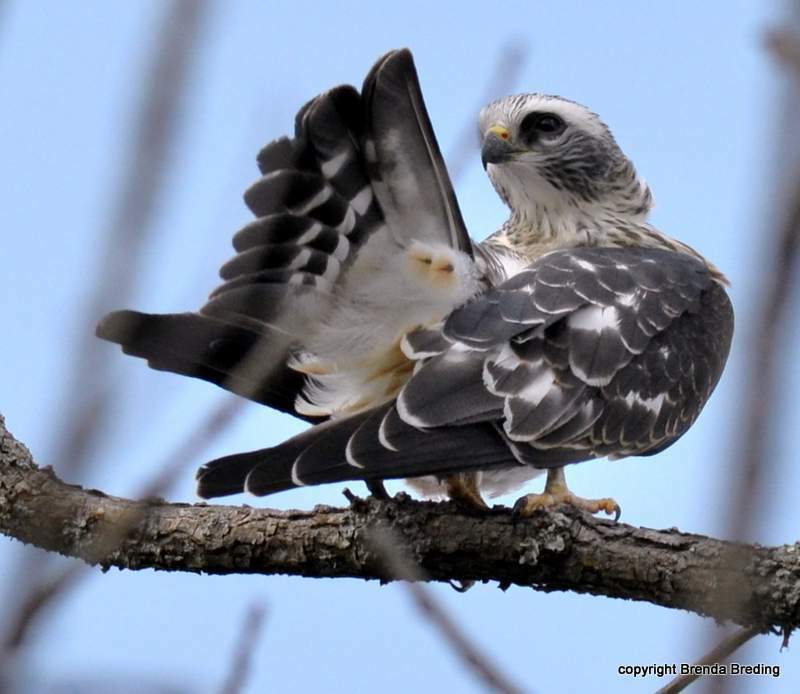 For example, the first nesting record of Mississippi Kites for Ohio was documented in 2007, and in 2008 the kite was documented breeding in New Hampshire and Connecticut for the first time. The reasons for this range expansion are not well-understood, though this species has adapted successfully to living in urban areas. Though the situation currently seems positive for Mississippi Kites, it is still important to protect them and their habitat. Because they travel through many different states and countries during migration, an outbreak of disease, high levels of contamination, or other factors in just one of these places could have a detrimental effect on the entire Mississippi Kite population. 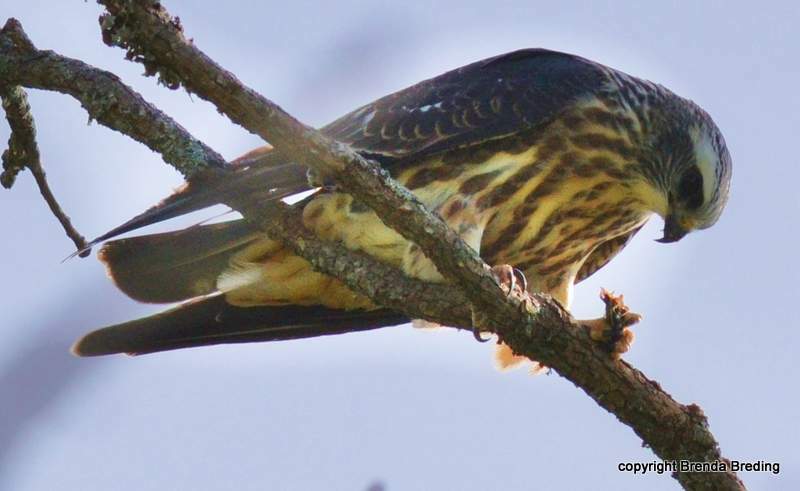 The Mississippi Kite prefers to dine mainly on large insects such as cicadas, grasshoppers, beetles, wasps, and dragonflies. This taste for potentially crop-damaging insects makes this bird a friend to farmers! This kite also feeds on small birds, bats, frogs, toads, and lizards. The Mississippi Kite uses a couple of hunting strategies. It may capture insects while soaring in the air and eat them on the wing. To do this, the kite must transfer the insects from its talons to its beak in mid-air. It also hunts from a low perch, usually a bare or dead branch. It sits paitiently on the perch, keeping an eye out for unsuspecting prey. Once its quarry is spotted, the kite chases after it using its powerful wings and snatches it up in its sharp talons. The Mississippi Kite can be quite gregarious during breeding season and often nests in loose colonies. In Arizona, groups of between two and 10 nests have been reported. A Mississippi Kite nest is, as far as nests go, not the most impressive of structures. Unlike a large, sturdy Osprey nest, for example, this kite's nest is a small, shallow, bowl-shaped structure built of sticks that sometimes succumbs to high winds. The female lays 1-3 eggs and both parents work hard to incubate them for about one month. 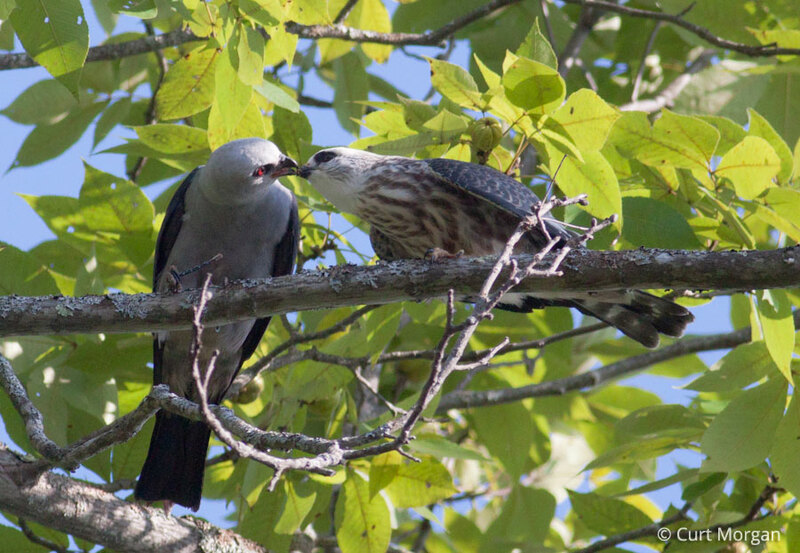 Many female birds of prey rely on the male to supply her with food during incubation, but Mississippi Kites do things a little differently. Both the male and female kite are in charge of feeding themselves when not incubating the eggs. After the fluffy, downy young hatch, they remain in the nest for about five weeks as they grow into healthy chicks with sleek flight feathers. 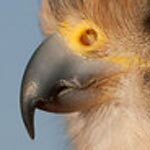 Mississippi Kites are very protective of their nests and young and have been known to mob predators intruding into their territory. 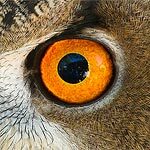 If one bird spots a threat, it makes a loud cry, alerting other kites of danger. Several birds stoop and chase after the intruders (including people) until they are forced out of the area. Nestling Mississippi Kites can fall prey to several animal species, including ravens, Great-horned Owls and raccoons. The World Center for Birds of Prey offers fun ways to learn about birds of prey. The visitor center has interactive displays, tours, interesting videos and a children's room with activities from coloring sheets to quizzes to costumes and a touch table for the curious mind. We also have several different birds of prey on display year-around. Knowledgeable staff and volunteers are on hand to answer any questions you may have about Mississippi Kites or any other birds of prey.